Dhruva was born a son of King Uttanapada and his wife Suniti. The king also had another son, Uttama, who was born to his second queen, Suruchi. Uttama was the preferred object of the king’s affection. Once, when Dhruva was five years old, he was sitting on his father’s lap at the King’s Throne. 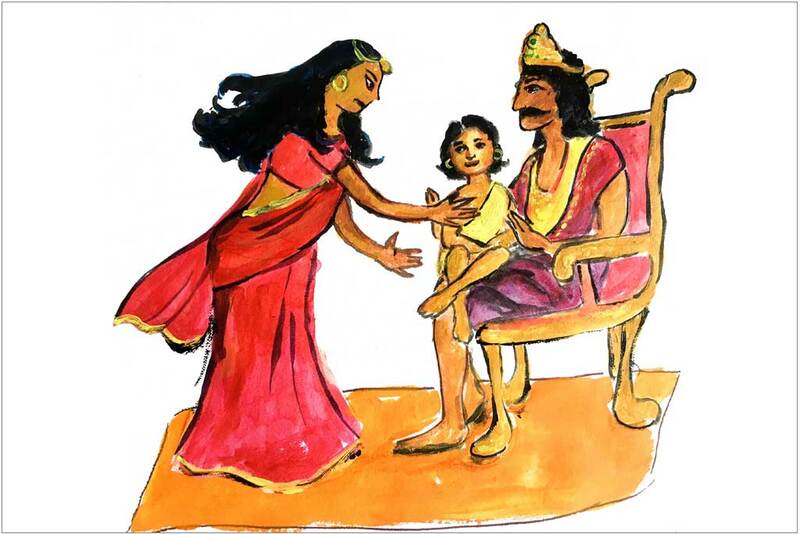 Suruchi forcefully removed Dhruva from his father’s lap. She was angry Dhruva would be king.